While the idea of a large, six-door MINI station wagon may seem like it strays drastically from the not normal image that is MINI, the 2016 MINI Clubman tells matches the MINI brand’s idea of a great car and unique, quirky, fun-to-drive appearance that we all love. Of course, we are not the only ones that love MINI. Industry critics appear to be all about the Clubman’s extra legroom and improvements to the vehicle’s second-generation too. The new 2016 MINI Clubman provides improved space and storage options without sacrificing the brand’s retro feel. The 2016 Clubman is described by the New York Daily News as a compact segment interpretation of the “Shooting Brake” (a British term for a version of a station wagon), which fits the visual of the vehicle’s wide, elongated body. The MINI Clubman’s tailgate splits and opens with the two doors facing one another, so in addition to the car’s four-door setup, this makes the Clubman a six-door “Shooting Brake”. The Clubman comfortably provides space for up to four passengers, with ample luggage capacity. Despite the extra interior space, the vehicle still evokes the traditional feel of the MINI brand with its superior handling and powerful engine. MINI’s introduced more and more variety into their models lately with the arrival of other cars in their lineup such as the Hatch, Countryman, and Paceman, and we couldn’t be more pleased. We love showing off the latest MINI and helping our motoring customers fall in love with the MINI of their dreams. Come by MINI of Pittsburgh to test drive the new 2016 Clubman and find out what makes it so unique, even in our MINI line-up. We love MINI in every form, from the classic 1960s MINI to the modern day Countryman, MINI’s superior handling, fun appearance, and comfortable interior have never ceased to amaze us. MINI’s latest vehicle, the 2016 MINI Cooper Convertible is no exception. With a roof that can open in only 18 seconds at speeds up to 18 mph, the 2016 MINI Cooper Convertible is ready for any adventure at the press of a button. With 11 exterior colors to choose from including the fun Caribbean Aqua paint color, you can truly make this MINI your own. Of course it’s not just the outside that’s impressive. The 2016 MINI Cooper Convertible is bigger than ever before with 1.6 extra inches of spaces for your friends sitting in the back seat, and 25% more room for luggage. Add in the 1.5-liter turbocharged engine or optional 2.0-liter turbocharged engine and your MINI will provide all the superior handling and drivability that you have come to know and love. Our only question is, MINI, why did you release this beautiful specimen of a car when our harshest weather is coming this way? Even though we won’t have this car in our Pittsburgh dealership until March, showing it off this soon just makes us long for nicer summer weather. No matter, when the summer-ready 2016 MINI Cooper Convertible does come by our dealership, we will love taking it out for a spin, even if it is still cold outside. If you’re looking for some fun performance features in your next car, look no further. 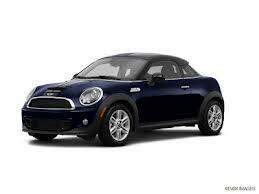 MINI has a new car for you. What makes the MINI…well…less than mini? Quite fankly? Everything! From its powerful performance, superior handling and dynamic style to its overall value, the MINI is anything but miniature in terms of performance and presentation. Above all, when you first drive a MINI you’re going to notice the pickup you get from simply pushing the gas pedal. Its power is undeniable. As you can see, there’s something for everyone when searching for the perfect MINI! If you’re interested in taking one out for a test drive (and trust us, you want to! ), visit us at MINI of Pittsburgh! The first images have been released of the upcoming MINI Clubman Vision Gran Turismo virtual racecar. The Vision GT will be available to download in Gran Turismo 6, the popular racing game for PlayStation 3 that pits some of the sickest virtual cars imaginable—both real and imagined—against one another. You can check out the sketches here to judge for yourself, but it’s safe to say that the MINI Clubman is one of the sleekest, most futuristic virtual cars yet. This virtual car gets almost 400 horsepower, using all 4 wheels in an all-wheel drive system. And – the MINI Clubman can hit 60 mph from zero in just 3.5 seconds. Talk about a strong start right out of the gate. Tragically, there are no plans for this virtual car to become a reality, but on the bright side, to use the vehicle in GT6, you won’t have to pay a price tag of hundreds-of-thousands-of-dollars. It’s available now as part of GT6’s most recent in-game update. Will you be downloading the MINI Clubman Vision Gran Turismo racecar? Let all of us at MINI of Pittsburgh know your thoughts in the comments. You may not be Jürgen Schmarl. And you may not be the 2012 MINI Trophy Champion. You may not even be a contestant in the MINI John Cooper Works Coupe Endurance Race. But, you could, however, feel as if you are any of these by owning the 2013 MINI Coupe. Dealerships across the country are waiting in anticipation for the arrival of the 2013 MINI Coupe. For such a small car, it has created quite the hype. It truly is a standard-setter in the segment of premium small-cars. The 2013 MINI Coupe offers three different trims—the Cooper, Cooper S, and John Cooper Works—each with a 1.6-liter engine, delivering anywhere from 121- to 208-horsepower and 121 to 192 lb-ft. of torque. The Cooper S and the John Cooper Works both have a turbocharged engine. In addition, there is the option between a six-speed manual or automatic transmission, available for the first time on the John Cooper Works. Zero to 60 in 8.8 seconds, topping out at 149 miles per hour, and delivering 29 miles per gallon city and 37 miles per gallon highway, this two-passenger, two-door ride creates a Go-Kart feel, both on the racetrack and the every-day roads. It is flashy yet athletic and offers precise handling, reliable stability, and a sporty interior. To become a champion, the 38-year-old Austrian, Schmarl, would agree that it is all about the engineering of the car, down to the very last detail. Although you may not have the intention to win a race, the features of the 2013 MINI Coupe could still make you feel like a champion every day that you drive it. And, maybe you’re not concerned with aerodynamics and weight distribution to optimize the speed at which you take corners on the track. 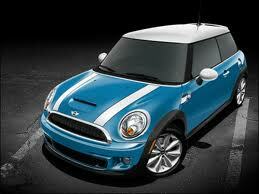 However, such attributes of the 2013 MINI Coupe could contribute to the safety and performance of your ride. MINI of Pittsburgh is anxiously anticipating the arrival of the 2013 MINI Coupe at their Pennsylvania dealership located on 4900 Baum Blvd. Interested buyers may call ahead at 877.299.9045 to schedule a test drive. Earning a spot on the Best Car Deals list means drivers will get the most out of their money with this year’s model. Coming in at just under 20K, the MINI Cooper delivers the ride of a lifetime at an affordable cost. As a driver, if you like outstanding performance, less visits to the gas station, responsive handling, and a uniquely expressive design (on both the inside and the outside), then the MINI Cooper is the car for you. Head on down to MINI of Pittsburgh today, and step inside an all-new 2012 MINI Cooper and take it out for a spin. Chances are, you’ll never want to get back out.